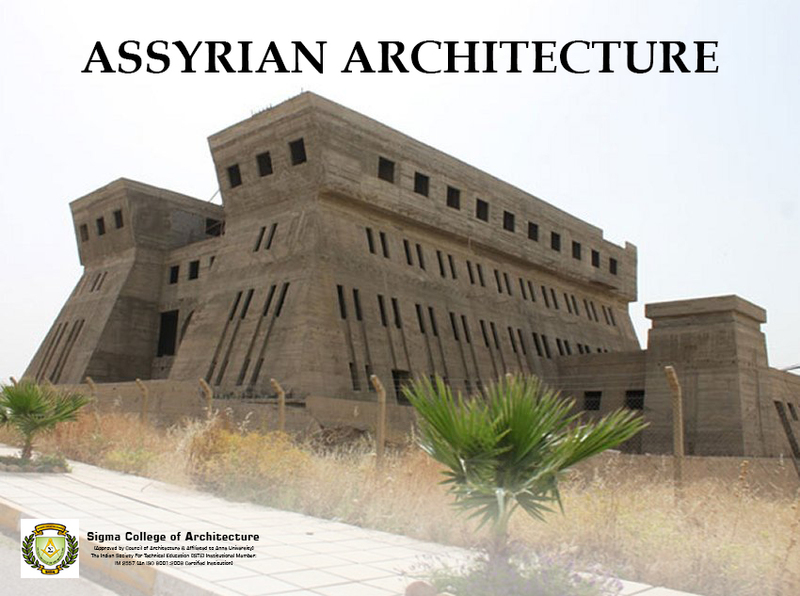 The basic layouts of all Assyrian buildings are nearly the same, rectangular in shape. They also made use of domes arising from a square base for the roof. They were all completely flame proof. They also introduced brilliant coloring in their styles with the use of colorized glazed bricks. Abundant ruins depicting the Assyrian Architecture exist in Nineveh, the Assyrian capital, and its adjacent palace-sites. Excavations at Koyunjik, Khorsabad, and Nimroud have laid bare a number of these royal palaces. Tier upon tier of walls enclose a great tower in the centre. The entrances are great arched gateways flanked by square towers. All these towers have overhanging parapets and are finished at top with battlements. Here at Sigma College of Architecture, one of the top Architectural colleges in South India we give special importance to these history that speaks volumes of forgotten and lost Architectural styles.